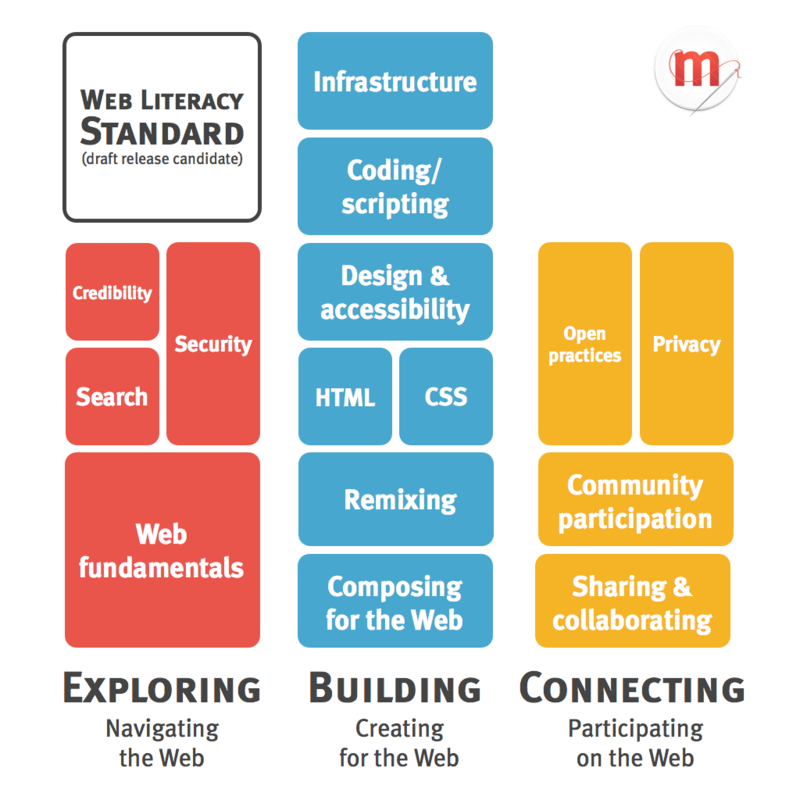 On Monday it’s the last Web Literacy standard community call before the soft launch of the draft Web Literacy standard on April 26th. If that sounds tentative, it is! We want as much feedback from as wide a range of people and organisations as possible on the road towards v1.0 at the Mozilla Festival in late October 2013. 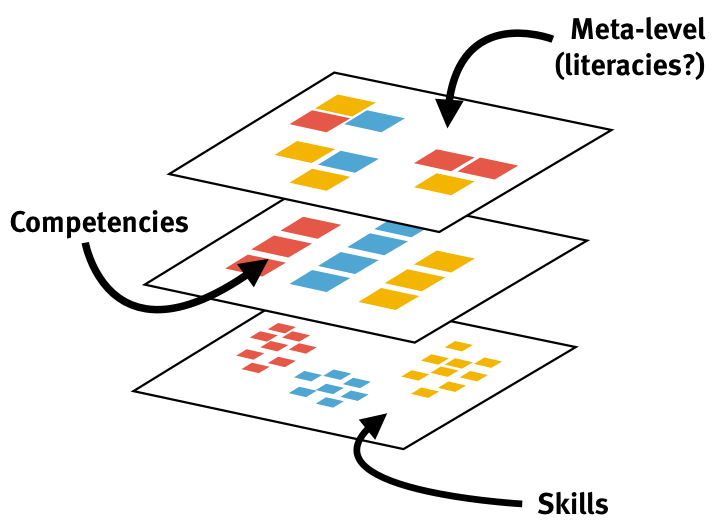 Below you’ll find the overview grid, the descriptors for each competency, and a diagram of the ‘stack’ of where this competency grid fits into the whole picture. We’ll have new, much better versions of these diagrams in due course – these are just my mockups! The descriptors still need some work so that’s what we’ll be focusing in on at Monday’s call. Credibility – Assessing the trustworthiness of online sources of information or activities. Remixing – Using existing openly-licensed content to create something new or modified. Feedback is very welcome, either here or on the community calls. ‘Credibility’ to me implies ‘How credibly can you claim to be web literate?’. I can understand the intent, but I wish there was a better word for it. Originally ‘Credibility’ was ‘Crap detection’ which is much more accurate but, I fear, not formal education-friendly! Definitely clearer than the last iteration. Nice!